Hands up and Enjoy Rapid!!!!! Today again so nice weather with lovely sun. 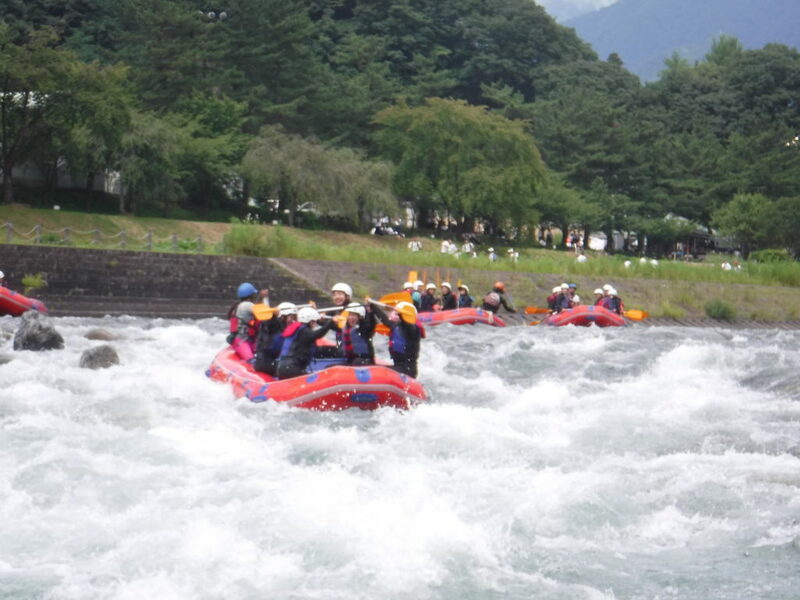 It is very warn today and rafting was fantastic with cool water. As usual we play with water and water nature in Tonegawa. We enjoyed lots playing games. It was very nice in the rapid hands up with out falling. It was great feeling. Thank you so much everyone to following us our command in the river.